The Golden Rule to Understanding Spiritually is not intellect, but it is Obedience! Let's move forward in obedience to what He has us do, even when - or better yet, even though - we don't comprehend it! Record time in getting shipment through customs. 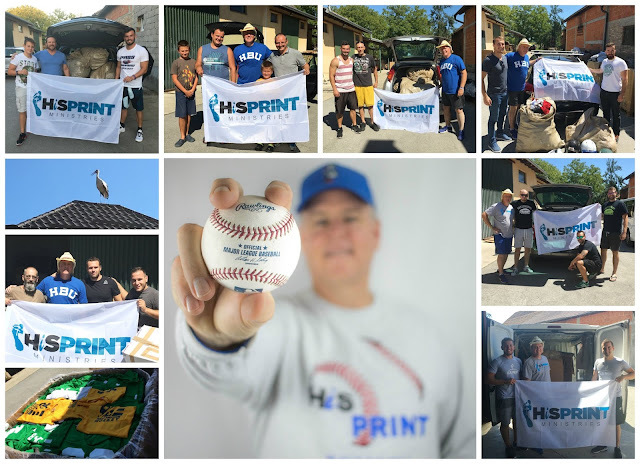 Crane Logistics and the Croatia RBI (a local non profit) did all the leg work to make the customs and shipment transfer go as smoothly as possible. I wish to thank them from the bottom of my heart for walking alongside us. Damir, a member of RBI, was a tremendous help navigating the waters and communicating with the customs agent constantly! At first glance, how many of you said to yourself, "Mossman doesn't know how to spell, and even spell -check failed to change the spelling?" It's actually the best word I could come up with to describe the Amazing, Awe inspiring God, who continually shows up in Maximum ways! Forgiving in our own strength has limitations; our pride hangs on to the hurt caused and the pain created! Forgiving through the power and love of the Holy Spirit loosens the grip of self and elevates the image of Christ! I'm not really sure how to explain all that is going on these last few days! Knowing I was supposed to return back home on the 15th, I was missing my bride and somewhat homesick. But God started making new paths of ministry. Watching Him work makes me, a man who sends texts longer than most short stories, wordless! Me I don't count till I get to three. God I don't count until He becomes all three! Our vision of God depends on the state of our character; character determines revelation! And revelation of Him won't come 'till He's replaced everything else in our lives! To fulfill God's design means entire abandonment to Him! Whenever I want things for myself, I distort the relationship and I interfere with what God intended with our relationship! One word comes to mind when thinking of the library program this year—change. Very little of our library program happened the way we expected from past years. There were many obstacles in the way which took away from the traffic in the library including some of our program being cut, illnesses, a massive change in librarian staff, a new city swimming pool, craft programs in Sisak, and even a technology program overlapping with ours within the library. These changes greatly decreased the amount of students involved in the program and initially hit me like a punch to the stomach. I had many doubts about whether or not I was fit to lead this program and if it should even continue after this year. The majority of the team members who came on this year's Mission Learning Opportunity have made it safely home and reunited with their families! Praise God for their service here and thanks to each of their families and the sacrifices they made while they were here! Only Heidi, who returns Tuesday, and myself are left and HiS HOUSE echoes of the past month and all the ministry that went on here! I can see and feel how Janko would feel lonely after a flurry of activity that goes on and then slowly the team returns home and the HOUSE becomes silent. HiS PRINT - Building Bridges between Cultures; Closing Gaps in Relationships! God has just blessed me beyond measure on this trip and I can hardly contain myself on what He continues to do! Every day God brings a new relationship across my path as well as establishes opportunities to deepen existing ones! My head is literally spinning and my mind is continually spinning with all that is going on and all that needs to get done! The first thing I must share with you is a Facebook conversation that took place on Sunday between Vukasin and myself. It just blessed my socks off and gave me confirmation from God that we would return in the future. Enjoy this short conversation and grasp what I mean! MESSAGE FROM VUKASIN, organizer of the camp. "I just had a shower after some cleaning up and im just sitting on my terrace with a big smile on my face. I rarely lack words, and now i just can't explain how happy i am. THANK YOU." Life has to be lived moving forward, but can only be understood by looking back! Why look back? To learn, to educate yourself. You learn not only from information, but the greatest teacher is experience! Experience is indeed what we have had! 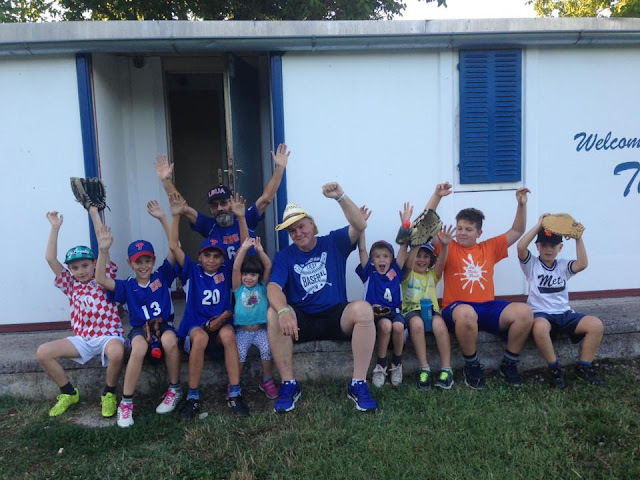 Here in Serbia God has blown open doors larger than we could have ever imagined to help clubs with knowledge through camp, donated equipment necessary to allow them to play properly, and most importantly to share Christ's love! American football here is huge with 38 teams throughout Serbia participating and God is opening the doors to reach regional as well as national alliances!